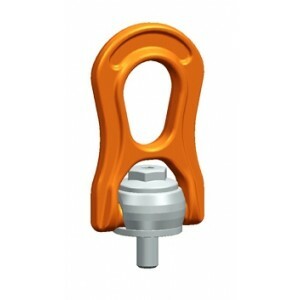 360° rotatable lifting point. 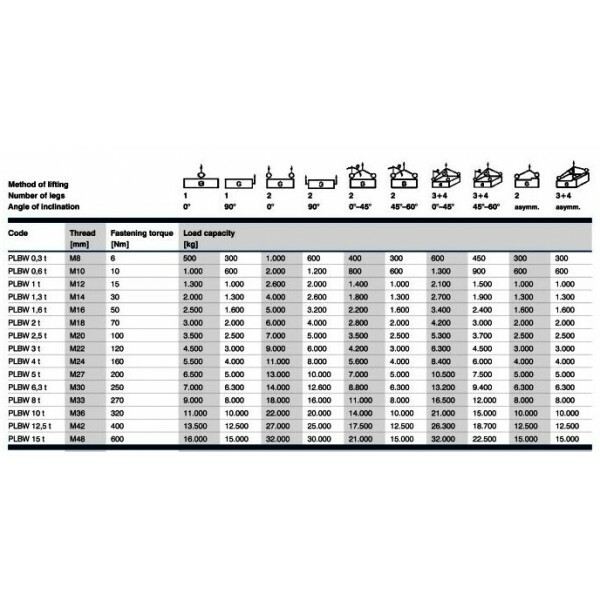 The load ring is 180° movable and can be held at each requested position due to its replaceable and patented spring. Likewise interchangeable is the hexagon-special screw of grade 10.9 material, which is secured against loss. The screw is 100% crack-tested as well as covered with a chromium VI free protection against corrosion, and marked with WLL and thread size. It can be tightened with a hexagon wrench or spanner wrench. 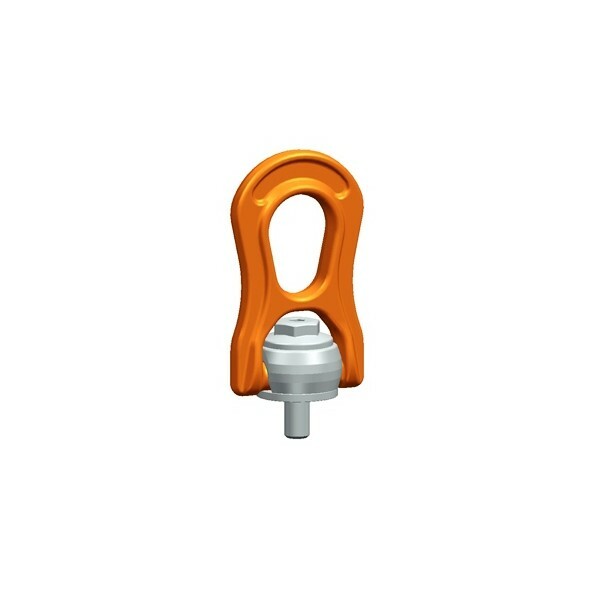 The lifting points pewag winner profilift beta are marked with an individual serial number, that allows product traceability and load capacity for the most inappropriate field of operation, which explains the increased WLL in the upright loaded position.